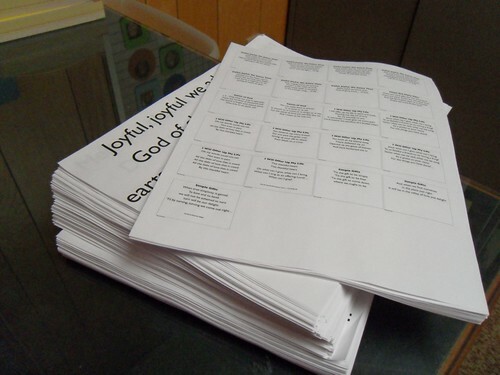 The small stack on the top is what I meant to print—thumbnails of the lyric slides for Sunday’s morning worship gathering. The tall stack, nearly a ream of paper, is the result of my failure to click “multiple pages per sheet” in the print box. Rats! I could toss it in the recycle bin and remove all reminders of my goof, or I can cut it in fourths for scrap paper and provide myself with years and years of reminders. Which will I choose?